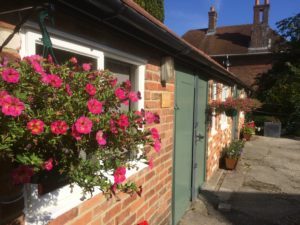 I am based at Chisbury Wellbeing (SN8) near Marlborough in Wiltshire and Hungerford (RG17) in West Berkshire. I work with clients from many nearby communities, including Newbury, Reading and Andover. I am ten minutes drive from M4 junction 14. I am available to travel to nearby locations by agreement if you are unable to come to me. I also offer sessions via Skype and telephone. Chisbury is a small hamlet in eastern Wiltshire, just off the A4 between Marlborough and Hungerford (see map above). The area to which I provide a service as a counsellor and Psychotherapist includes Marlborough, Hungerford, Swindon, Newbury, Thatcham, Andover, Wantage, Reading, Burbage, Kintbury, Pewsey, Aldbourne, Bedwyn, Lambourn, Calne and Devises. I used to work in London. If you are looking for a therapist in London I recommend Greg Donaldson at www.emergingpurpose.net or Nakita Jangra at www.nakitacounselling.com.